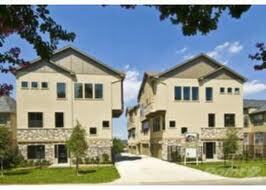 Michigan condo insurance may be needed if you are buying a condominium in Michigan. Talk to your agent to make sure that you have adequate coverage for your home and belongings. Mortgage companies are starting to require condo insurance with coverage on condos at least 20% of their mortgage. The most important thing you should know when getting Michigan condo insurance is what does the master policy cover? The condo association’s master policy should show which parts of the complex have insurance through the association and which does not. The master policy will help you in deciding how much coverage you will need when you purchase your Michigan condo insurance policy. If there is a deductible on the master policy, that deductible is charged against all owners. So if there are five unit owners, then the deductible would be divided into five ways. Your condo policy can cover part of this assessment through a coverage called loss assessment. Usually, your policy will provide coverage up to $1000, but higher limits are available. Knowing the association’s by-laws will show you the maximum amount that will assess you. Recently, Associations have taken higher condo deductibles on their policies to save money. These deductibles can go up to $50,000, and you could be responsible for a prorated total of the deductible. Reading your by-laws will help you avoid an unexpected bill. Owners of units do not own the entire complex. Typically, they own their unit and share ownership of the rest of the complex with other owners. The association’s insurance policy covers the common areas of the complex, building exteriors, hallways, and play areas. The association’s dues that are collected help to protect the common areas. The unit owner will be responsible for covering everything within the four walls of his or her unit. The association’s master policy will tell which parts of the complex they will cover through the association’s policy. The areas the master policy does not cover are the areas that you will need to cover under on your policy. Condo-Bare walls in Policies cover all real property from the exterior framing inward but do not cover fixtures or installations within a unit. Coverage is not provided for features such as kitchen and bathroom cabinets and countertops, fixtures and flooring. Condo-All in Policies will cover fixtures, installations or additions to the interior surfaces of the perimeter walls, and floors of each unit. These types of policies are not as common as the bare walls in condos. Third option Combination of the above two so you will need to look at the association’s by-laws to see what the association is responsible for and what your responsibility is. What is on your Michigan Condo Insurance Policy? Condominium insurance can help to protect your personal property against many covered perils such as fire, lightning, windstorm, hail, vandalism, or theft. This insurance will also provide valuable protection if your home is made unlivable due to a loss. Your policy can pay for another place to live while your home is unlivable. The policy can provide medical payment to others for necessary medical expenses incurred within three years from the date of accident or injury. This coverage does not apply to the insured or residents of the household and starts at $1000. Your policy will also help to protect you in case of a lawsuit due to a liability claim caused by an injury to another person or damage to someone’s property. Liability limits start at $100,000, but higher limits are available. Finally, if you rent a condo out to a tenant, you may need Rental Condo Insurance to click the highlighted link to find out more about this coverage. Contact our office to answer all of your condominium insurance questions. Click here to contact a Michigan condo insurance agent.